Above Grade Level is a hot concept in an incredible growth market – education. We have the most comprehensive teaching materials of any tutoring provider! Twenty five years in the making, our teaching materials have helped tens of thousands of students achieve academic success. With A team of over twenty international educators and over $1.5 million in development resulted in a world class curriculum. So effective it’s guaranteed! Training and systems have been honed and perfected since 1993 resulting in simple, effective systems for sales, marketing and operations. The training program is so well thought out that we also train tutors for a new franchisee. We are not limited to one-to-one tutoring. The combination of a mobile tutoring format and the strength of the teaching materials broadens our marketplace to include institutional opportunities such as; “No Child Left Behind”, charitable sponsored programs, foster programs, before and after school sponsored programs, and more. There are more driver education students today than ever before and more parents who want to have them taught driver education the right way! According to the U.S. Department of Education, enrollment in school age children rose 20% between 1985 and 2003. This means that the pool of teenagers is constantly being refreshed and is expected to grow by an additional 2 million over the next 10 years. There is a need for private driver educational services in every market in the United States. Many public school districts throughout the country are ceasing to offer driver education, as it is becoming too expensive to operate, and is an excellent budget cut for them. Because of this, the need for private driver education is growing rapidly throughout the United States, and the overall business of driver education is an over $700 million dollar business. To our knowledge, we are the only franchised driver education school in the United States. This statistic alone, makes selling an All Star Driver Education franchise that much easier. c) Inspect locations and vehicles used in training the individuals at the driving schools. Franchisee Experience Requirements: We are looking for individuals who want an opportunity to make a difference in their life, by working mostly with teenagers and wanting to help create safer drivers on their community’s roadways. Amazing Athletes is a physical education program taught in preschools. Students participate in one 35 minute class per week and are taught basic motor skills, hand eye coordination and specific skills in 9 different sports all in a positive, fun environment. The only real requirement for the franchisee is a love for kids. Baby Power Forever Kids are today’s most progressive and developmentally appropriate parent /child play programs. Baby Power Forever Kids have been carefully designed to build confidence and promote child development, parent/child communication, and bonding. The purpose of the Baby Power Forever Kids programs is to stimulate the intellectual, physical, and emotional development of the child during the most formative growth period–age 6 months to 3 years. Forever Kids Programs begin at age 3 and goes to age 6. Both ages allow freedom of personal choices. Highly flexible operation, modeled to be a hybrid of best existing tutoring franchises. Best in Class Education Center classes focus on key enrichment subjects – English and Mathematics, plus ACT and SAT Preparation. Individual tutoring is also provided for other requested subjects. Focus is on vocabulary in English, problem solving in Math. Management team has been both a franchisee and franchisor. Adequate personnel are in place to support a growing number of franchisees. Best in Class traces its roots to BrainChild Education Centers, a Canadian company established in 1988. U.S. operations established in 1995. Our name was changed in 2010. We predict continued growth for the K-12 supplemental education market. With cutbacks in school budgets, concerned parents will look for additional opportunities to improve insure their children have the needed education for admission to top colleges. Best in Class Education Centers are well positioned with proprietary curriculum, affordable pricing, better products, better use of technology, greater flexibility and greater support to meet the needs of the marketplace. Parents are highly motivated to help their children succeed with supplemental tutoring. Students are a self-renewing market. Affordable student pricing ($100 per month for four 75 minute classes). Start-up costs are relatively low. Works well in 1000-1500sf of retail space. Very scalable costs driven by student enrollment. Low fixed costs. Modest furnishings cost. On-demand printing technology (industry first) to keep inventory of educational materials low. Central portal (“Cloud”) for student database and invoice systems. Centers are primarily open in late afternoons, evenings and weekends, allowing the franchisee to transition from a daytime job while the business grows. Opportunities available for single and multiple units, areas, and regions. Individuals with a passion for education. Skilled educator who can motivate, and inspire. Warm personality with relationship skills, consultation abilities, and mentorship abilities. Good business skills to manage operations and employees. The franchise model addresses current ‘hot buttons” in education today: STEM (Science, Technology, Engineering and Math) and LEGO®. This is a very unique and extremely creative Child Services’ franchise that provides enriching children programs dedicated to delivering creative learning experiences resulting in tangible benefits to both the child and franchisee. This unique Franchise company provides proprietary model plans/projects, each one with a lesson plan and schematic drawings for the kids. These programs are designed to teach principles and methods of engineering and architecture to children ages 3-12+ using LEGO® bricks. Company provides classes (both in-school and after-school), camps that enhance and enrich the traditional school curriculum, field trips, birthday parties and parents night out (all total, there are over 20 different income producing programs to generate revenue to the bottom line for the franchisees). The company model helps foster creativity and problem solving with their qualified teachers. They are expanding projects by doubling the programs with lesson plans and schematic drawings for the kids – implementing the LEGO® Education WeDoT and MINDSTORMS systems, along with stop motion animation movie making projects, which expands the model into higher grade levels to enhance more revenue streams. The company’s classes enable children to learn not only by listening and observing, but also by using their fine motor skills and spatial intelligence. There is currently no competition for this unique franchise model. March Entrepreneur Magazine 2013: ranked #4 in the “Top New Franchises” feature! In 2013 Bricks 4 Kidz announced a new business module option designed to provide team building programs to multiple size businesses and sports’ teams. This new module will be available to all existing and new Bricks 4 Kidz franchisees at no additional cost! This module, alone, could end up doubling franchisees income and be worth the cost for a Bricks 4 Kidz double territory program. . . plus, the franchisees are not locked into their restricted zip code territories – they are able to market the module anywhere in the United States!! Find out more by visiting www.bricks4biz.com. Currently there is not another LEGOS® franchise/business offering as extensive of a portfolio: B4K’s exclusive software (FMT), proprietary B4K’s LEGO® Project Kits, More Revenue Profit Centers, National Advertising programs . . . all resulting in enhancing bottom line revenues for franchisee. College Nannies and Tutors is the premier opportunity in the childcare and tutoring industries. We are a retail-based staffing business with a unique approach, providing role models to busy families. By focusing on children from cradle-to-college, we become the trusted, one-stop shop for a family’s childcare and tutoring needs. We are the full-service market leader of our industry (in fact, we are already the largest legal employer of nannies in the country). Opportunity to do well while doing good! Discovery Point is a year round child development center that was founded in 1988 and is headquartered in Atlanta, Georgia. Discovery Point offers child care for children from 6 weeks to 12 years old. Discovery Point centers are well equipped, high quality child care centers at an affordable cost to parents. Programs such as Pre-K, Afterschool care and Summer Camps are offered. We emphasize a child positive, safe and friendly environment that will offer each child a well balanced development physically, emotionally, intellectually and socially. 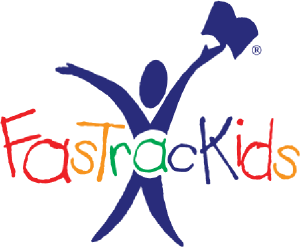 FasTracKids has a robust set of programs that truly empower children to become better learners. Why is this important? Because continuous learning is the single most important skill for the 21st century and the time to develop good learning skills are when children are young. If you have a head for business and want to make an impact a powerful impact on the children of your community then FasTracKids may be the right fit for you. – Education is a multi-billion industry and is growing year over year. – Education is important to any parent you speak with. – Education is the key to any child’s future and a good education starts when children are young. – Unique, technology-based curriculum that is proprietary to FasTracKids. – Various programs that appeal to different interest points and allow for maximum retention. – Proven systems and programs that are operating in over 50 countries around the world. • Willing to invest in the relationship with the customer. You are caring for your customer’s most prized possession…their children! The man in the van for UNDER a $100 grand!” Offering, the WOW factor, quality of life, flexibilty, and combines BOTH fitness and kids, while allowing a financially rewarding income to be made. FUN BUS is a can be a primary income, an awesome secondary income, or even a 3rd income. It is a refurbished, climate controlled school bus that has been transformed in a mobile GYM on wheels for LITTLE KIDS, ages 18 months-7yrs. It visits weekly daycares, preschools, and nursery schools providing structured fitness fun. On the weekends the bus rolls up to b-day parties, corporate picnics, religious functions, block parties and other places children gather. Founded in 1989, Growing Room is an award-winning company dedicated to providing a childcare experience like no other. Our centers provide a unique child friendly environment where children are treated with dignity and respect, enjoy clean and safe facilities and participate in daily educational experiences to form a life long foundation for success. Our company began in the heart of our President and CEO, Sheree Mitchell, R.N. As a mother, she had experienced poor quality childcare for her own son and felt strongly that children deserved more. Her ideas have transformed and developed into an unprecedented childcare environment and a proven, successful early childhood education program. Growing Room began as a one location company and has since grown to include three company-owned centers and one franchised center with another opening in 2009. In addition, Growing Room currently operates a preschool for a local church and two corporate child care centers for a Fortune 500 company. We have many qualified franchise applicants, as well. As we move forward, Growing Room will remain true to our roots and will continue to provide the very best education and environment for the children in our care. What does Growing Room want? At Huntington Learning Center our success is achieved through reaching our solitary goal: the success of the student. Our franchisees are dedicated to helping students of all levels reach their highest potential, and our corporate team is dedicated to helping franchisees achieve theirs. As we continue to expand and add centers across the country, we are actively seeking highly motivated, success-oriented individuals who share our high standards and commitment to excellence. With Huntington Learning Center you can fulfill your dreams by helping a young person achieve his. As you explore the opportunities and support we provide, you will discover we offer one of the most rewarding franchise business available today. We Make People :o) IslandTime Treasures guest artists build their own crafts using island bling and beach sand! We make children’s school projects, preschool, daycare, camps, birthday parties, and events a SANDTASTIC experience by providing a unique, hands-on crafting activity that are as entertaining as they are educational. After-School and Project Programs: STEM (Science, Technology, Engineering, Math) – learned through a hands-on ART project for schools, preschools, daycares, and camps. Is a fun family centered business. Is a mobile business with no high-dollar real estate requirements. Is an affordable franchise with a low investment. Is a unique, exciting, and entertaining lifestyle business. Is home-based with a very low overhead. Earns great great money for your family. You will receive a minimum protected territory of 200,000 in population or 30 public elementary schools, whichever is greater. This would also include all the private and charter schools, daycare, camps, retail, and attraction opportunities within that market. Your franchise investment includes a comprehensive start-up package that contains EVERYTHING you need to begin making money. $12,500 franchise fee includes turn-key comprehensive training, start up equipment, inventory package, and territory. Includes approximately $2,400 of initial sell-able retail inventory value. Initial training & on-going support. Three Pack Franchise available for the price of two! JungleQuest is the indoor, jungle-themed ‘Adventure Center’ for children 5 to 12 years old. Our unique-in-the-marketplace business offers a place for kids to have the adventure they crave. Since 1994, we have been the popular venue for Birthday Parties, Drop-ins, our own Summer Daycamp, and also an ideal field trip destination for other camps, school groups, and recreation programs. JungleQuest features challenging ziplines, rope bridges, giant swings, tree houses, jungle caves, rockclimbing walls, and a great jungle theme – all perfect for young explorers who are looking for adventure. Even after 20 years of operations, JungleQuest still has no direct competition, because the barriers to entry into this unique niche are substantial (unless you have access to our experience by becoming a franchisee). This is a turnkey opportunity, providing everything a new owner needs to profit from this unique business. Our experience and detailed operations manuals provide the systems required to operate smoothly, with no surprises. A JungleQuest franchise can be successful as a free standing business, or as part of a center that features related recreation i.e. miniature golf, inflatable bounces, laser tag, redemption games, bowling, snack bar or similar activities. 1. The Children Amusement industry is extremely large. 2. The Children Amusement industry is growing. 3. Our customer base is not price-sensitive. There is plenty of money spent on children’s parties and activities. Arts, Entertainment and Recreation: “The baby boomers are going to be the richest retirees in our nation’s history. So what are they going to do with their cash? Spend it, of course. With plenty of time and a penchant for enjoying live, the baby boomers are expected to drive the arts and entertainment sector, which is projected to increase in employment by 31.3% over the next decade. 1. We are unique in the marketplace. 2. JungleQuest is a very difficult and expensive concept to reproduce without our experience and intellectual property, so competition will be unlikely for some time. 3. We are experts. Our managers have a combined 56 years experience working in the JungleQuest organization, and will lead our franchisee training. LearningRx is the Brain Training franchise at the forefront of the Brain Training industry. With unmatched training results, LearningRx improves learning skills including memory, attention, and processing speed. Studies show that 88% of learning problems are caused by one or more weak cognitive skills, and LearningRx is the expert in assessing and fixing the problem at the core. One on one brain training and our proprietary methodology makes LearningRx the answer to learning struggles through enhancement for all ages. A truly unique business opportunity! 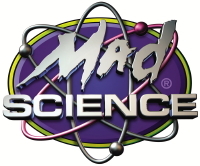 The Mad Science Group® is the world’s leading fun science provider that delivers exciting, hands-on and educational science experiences! Each year we spark the imagination of millions of children through an established, global distribution network with offices in every major market in North America and 27 countries overseas. The Mad Science Group® attracts media attention including CNN, The New York Times, The Wall Street Journal, and hundreds of community newspaper and television stations around the world. It is a powerful brand name with 122,000 annual presentations and 144 MILLION annual consumer impressions. This franchise has a proven business model with more than a decade of experience. Omega is a full service tutoring center in all subjects for all ages AND an accredited private school K-12 (Omega Private Academy), allowing a franchisee to make money from 8 am to 8 pm. Ideal location is 1500 square feet in a strip center with a big anchor. Low cost franchise at $109,000- $147,000. Certified teachers receive $5,000 discount. Tutor Doctor offers tutoring programs for children from kindergarten to college level, adult education and senior citizens curricula, incorporating an understanding of all learning types. Tutoring is done at home or through our E-Learning System. Tutoring at home offers many advantages over the traditional learning centers out there, as tutors are working one on one with the student, focusing on their particular needs and challenges rather than the typical group setting utilized by learning centers. Although our company was founded in 2000, we have experienced an explosive growth around the world in the last 5 years. Now operating in 15 countries and 4 continents, our franchise has been ranked as #1 One-on-One Education Franchise worldwide and #30 Fastest-Growing Franchise by Entrepreneur Magazine. We continue to look for the right-minded individuals that want to experience financial freedom by owning their own business, but not being on their own. With over 400 franchised territories worldwide, our company has the right expertise to help our Franchisees achieve their business goals, backed by a successful and proven business model, world-class training and ongoing support. Join America’s fastest growing franchise in the Private Education Industry. This is a ground floor opportunity with great locations still available. Educational experience is not necessary to become a Tutoring Club Franchisee. Tutoring Club’s TutorAid Software makes all educational decisions. TutorAid Software manages all student information by creating, monitoring, and updating lesson plans daily. These lesson plans are then implemented by qualified teachers. Also within the TutorAid Software is a complete financial software program designed specifically for Tutoring Club center finances. With Tutoring Club you obtain the freedom of ownership with the benefit of proven support. Since 1988, Young Rembrandts has been experiencing steady growth and continual success. We offer the premier instructional drawing program for three to 12 year-olds. Our art education methodology focuses on fostering children’s overall brain development. Current market trends show increased demand for after-school programs and child-related services. Parents and teachers understand the value of enrichment and its positive impact on children’s lives and academic performance. Our proven business system can be applied to any market territory with an expanding product line, and classes can be held at a variety of facilities, from schools to camps. Young Rembrandts is a home-based business that provides affordable art education for families. The foundation of our business model is the unique and proven Young Rembrandts Method, in addition to our original, copyrighted curriculum and solid educational disciplines which develop art and academic skills in children. Our method gets results that surpass all expectations. A Young Rembrandts franchise provides flexibility in regards to work and family, an opportunity to give back to your community and financial stability.